BoyleSports is Ireland's most successful independent bookmaker, established in 1989 by John Boyle. In February 2011, BoyleSports took over 17 new shops from Celtic Bookmakers, then it took over 15 William Hill shops. This brought the total number of shops to 182 in Ireland at the time. Currently, BoyleSports has over 200 shops and is the largest independent bookmaker in Ireland. Noteworthy for football (soccer) bettors, BoyleSports is extremely competitive with their football odds won the most popular bets. They also offer one of the highest opening offers on the market. BoyleSports also offers a solid number of betting markets for every football competition. To view the number of markets on offer, simply browse betting by the football league you are interested in viewing. Is BoyleSports Trustworthy? The above existence of a bricks and mortar business should go far in demonstrating they are a brand worthy of your trust - especially if you have Irish roots. BoyleSports online services are registered on the Isle of Man, regulated by the Isle of Man Gambling Supervision Commission, with a license first issued in 2001. They are also licensed and regulated by the Gambling Commission for customers in Great Britain. BoyleSports Support: BoyleSports customer service team is available 24/7/365 so you can always talk, email or chat online to a real person based in Europe. Is my information secure? BoyleSports use the SSL (Secure Socket Layer) mechanism that is built into your browser to manage the communication between you and their website. This means that any text you provide is 'translated' into extremely detailed encrypted code. Your data is only retranslated into text once it is stored on our web server. Information such as personal details, credit or debit card numbers, passwords and all account details are automatically coded. In addition, BoyleSports has installed the latest firewall technology. This process is intended to act as a secure barrier to detect any unauthorised access to their server immediately. Furthermore, BoyleSports uses anti-fraud checks throughout all transaction and payment processes. Once they have received your information, they use strict procedures and security features to try to prevent unauthorised access (like their Know Your Customer program). Withdrawal Information: Wire: 3-7 banking days. Credit/Debit Cards: 2-3 banking days. E-wallets (Skrill, Paypal, Neteller): 1-2 banking days. 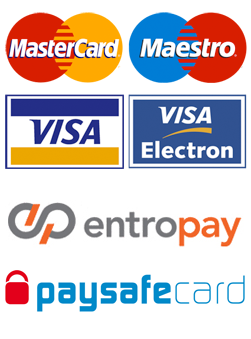 For UK customers, there is no fee to withdraw your funds for any of these methods. BoyleSports Excludes These National Residents: Germany, USA, The Netherlands, Spain, Denmark, Italy, Greece, Switzerland, Serbia, Israel, Poland, Cyprus, France, China, Belgium, Singapore, North Korea, Iran, Algeria, Ecuador, Indonesia, Myanmar, Afghanistan, Albania, Angola, Guyana, Iraq, Kuwait, Lao, Namibia, Nicaragua, Pakistan, Panama, Papua New Guinea, Sudan, Syria, Uganda, Yemen, Zimbabwe, Cambodia, Turkey.